Do you hoe shallow and lightly hoe up the weeds or do you hoe deep or do you use the how to throw up dirt to cover up the weeds like a cultivator does? Just curious. Jogeephus wrote: Just wondered what peoples opinion was on the best way to hoe their garden. 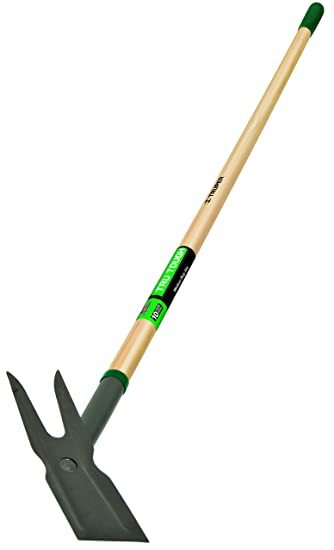 Its according to the hoe I am using , One likes it gentle , the other one likes it rough. each one is built for the task at hand. I use a stirrup hoe. It barely disturbs the soil and works forwards and backwards. It's like using a whisk broom. Vastly superior to all other hoes for weeding and takes much less effort to use. Also, you can get right up next to the plant with a stirrup hoe and pull the weed (or crabgrass) out without hurting the plant. I like to hoe enough to bring roots up and let it lay out in the sun and dry them up so id say pretty shallow. I only really hoe where the cultivator cant go. My hoin' days are over. I collect my lawn clippings and lay them in my garden where the plants are not growing. It keeps the weeds down and it composts throughout the summer. I till my garden in the fall and spring so they just compost over the winter and adds more organic matter to the soil. It sure beats hoeing and pulling weeds when all you have to do is pull weeds where you don't mulch your grass clippings.